Polio is a highly infectious viral disease that it invades the nervous system, and can cause total paralysis in a matter of hours. The virus is transmitted from person-to-person through ingestion of infected faecal matter. Following infection, the virus is shed intermittently in excrement for several weeks with little or no symptoms in majority of cases. The initial symptoms of poliomyelitis include fever, fatigue, headache, vomiting, neck stiffness and pain in the limbs. Poliomyelitis (polio) is a highly infectious viral disease, which mainly affects young children. The virus is transmitted through contaminated food and water, and multiplies in the intestines. From the intestines the virus can invade the nervous system. Many infected people do not have symptoms, but do excrete the virus in their faeces and in turn transmit the infection to others. Initial symptoms of polio include fever, fatigue, headache, vomiting, stiffness in the neck, and pain in the limbs. In a small proportion of cases, the disease causes paralysis, which is often permanent. 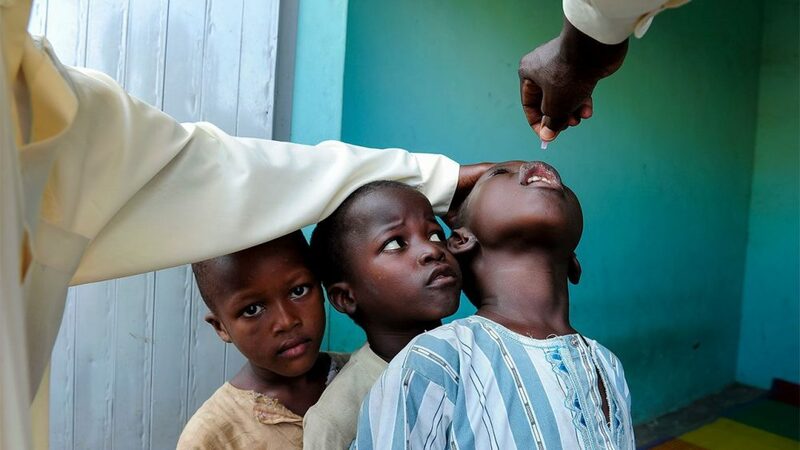 Polio can only be prevented by immunization. Most people with polio won’t have any symptoms and will fight off the infection without even realising they were infected. A small number of people will experience a flu-like illness 3 to 21 days after they’re infected. The paralysis isn’t usually permanent, and movement will often slowly return over the next few weeks and months. There’s also a chance that someone who’s had polio in the past will develop similar symptoms again, or worsening of their existing symptoms, many decades later. You can also get the infection from food or water that’s been contaminated with infected poo or droplets. The virus can be spread by someone with the infection from about a week before any symptoms develop, until several weeks afterwards. Infected people who don’t have any symptoms can still pass polio on to others. There’s currently no cure for polio. Treatment focuses on supporting bodily functions and reducing the risk of long-term problems while the body fights off the infection. If you’re left with long-term problems as a result of a polio infection, you’ll probably need ongoing treatment and support. The polio vaccination is offered as part of the AHO routine childhood vaccination programme. If you’re planning to travel to a polio-affected country, you should get vaccinated if you’ve not been fully vaccinated before, or have a booster dose if it’s been 10 years or more since your last dose of the vaccine.